Around the world people are celebrating Good Friday and relaxing with their friends or loved ones. 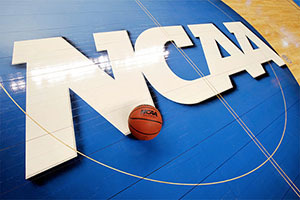 This is a day that means different things to many people but for people still involved with the March Madness tournament, it is a day where the nerves will be going through the roof. Friday the 3rd of April may not seem like too big of a deal but when it comes to the Final Four, Saturday the 4th of April is the day that many people have had pencilled into their diary for a considerable amount of time. Getting to this stage is a massive achievement but the thing is, when you get to this stage, you don’t want to lose. Losing out at the semi-final stage is often the hardest stage because no one remembers the losers. The losers in the Championship game are often remembered in a favourable light but when it comes to being one of the two teams that lose out at the Final Four stage, there is just a feeling of emptiness and regret. This is why all of the players, coaching staff and fans involved with Michigan State and Duke and the game between Kentucky and Wisconsin will not be focusing on Easter at this point, they will only be focused on making it through to the Championship game. If you are looking for an outsider or what the Americans love to call a Cinderella Story, Michigan State is your best in this year’s March Madness. This is a tough challenge for the team, but it isn’t impossible, even though Duke will start as favourites. If Michigan State are going to achieve success, Denzel Valentine is likely to be a star man. He was hugely influential in the game against Louisville that ensured a place in the Final Four, and he may well be the difference in this game. Of course, he’ll need to have some game to silence the Duke fans who call themselves the “Cameron Crazies”. It is easy to see that Kentucky will dominate the headlines but this is a basketball game being played out between two teams who have dominated basketball this year. There is also the fact that this game is a repeat from last year, and Kentucky had the upper hand last year. This may give the Kentucky team confidence or it may provide Wisconsin with the added element of revenge that will see them grab the result that will make the entire world of college basketball fans stop and take notice. The fact that Wisconsin have only lost three games this season should be acknowledged and appreciated but when you are coming up against a team who has a 38-0 record, it can get overlooked. The thing that Kentucky has to remember is that after spending so much time getting to 38-0, if their scorecard moves on to 38-1, it is likely to be regarded as a bit of a failure, which adds a great deal of pressure for the team. One player who will need to have a big game if Wisconsin are to grab a win is Frank The Tank, Frank Kaminsky. He has driven his team to this stage of the tournament and if he can drive them to one, or even two more victories, he will be regarded a hero. He’ll need to be a big player as Kentucky are likely to be roared on by a huge support who will certainly make themselves heard in this one. When it comes to March Madness betting, this is going to be an almighty weekend.